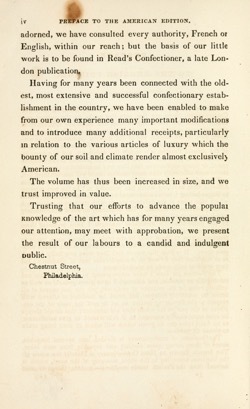 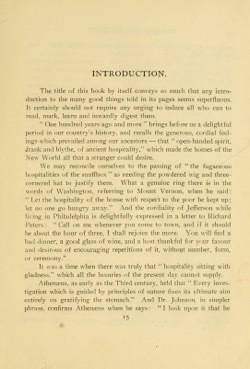 PREFACE TO THE REVISED AND ENLARGED EDITION. 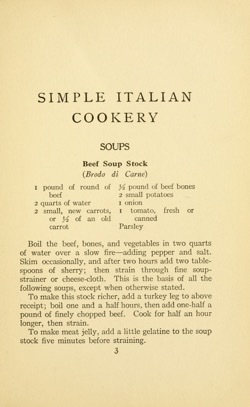 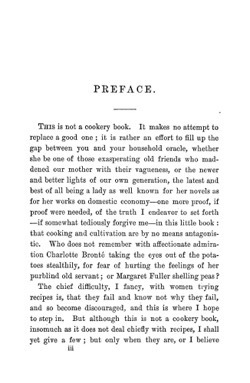 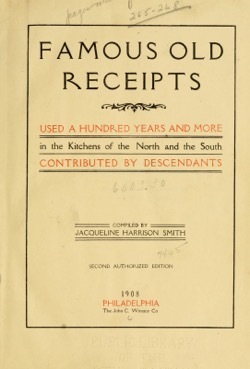 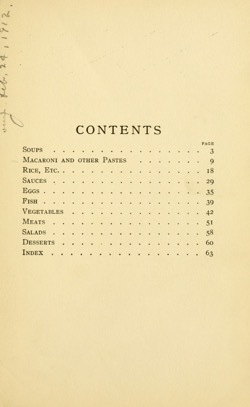 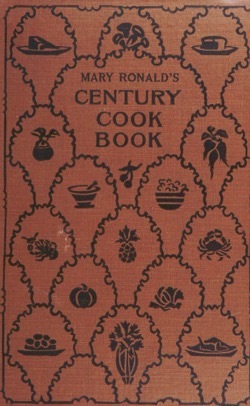 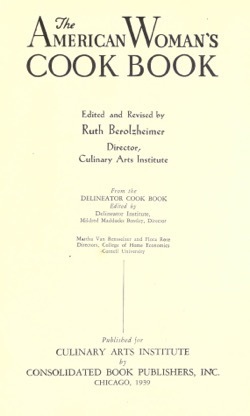 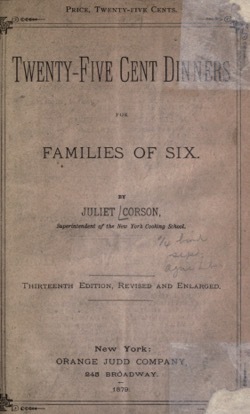 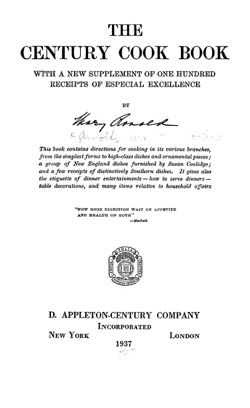 DURING the time that this little book has been a candidate for public favor, it has attained a success far beyond the expectations of its most sanguine advocates ; and in issuing this revised and enlarged edition the author returns her sincere thanks to both press and public, who have so substantially seconded her efforts for culinary reform. 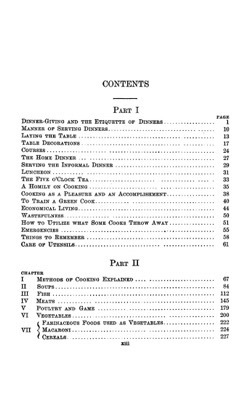 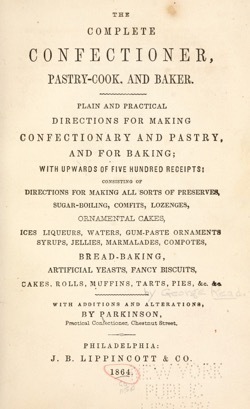 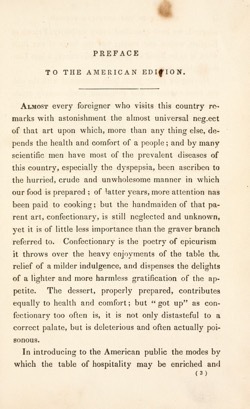 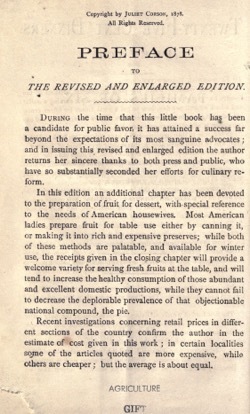 In this edition an additional chapter has been devoted to the preparation of fruit for dessert, withspecial reference to the needs of American housewives. 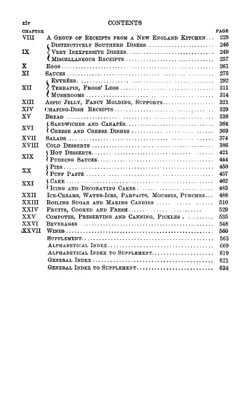 Most American ladies prepare fruit for table use either by canning it, or making it into rich and expensive preserves; while both of these methods are palatable, and available for winter use, the receipts given in the closing chapter will provide a welcome variety for serving fresh fruits at the table, and will tend to increase the healthy consumption of those abundant and excellent domestic productions, while they cannot fail to decrease the deplorable prevalence of that objectionable national compound, the pie. 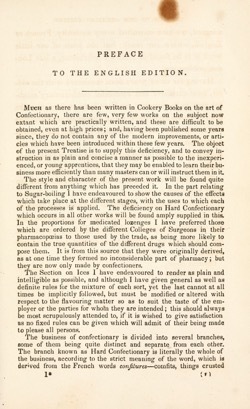 Recent investigations concerning retail prices in different sections of the country confirm the author in the estimate of cost given in this work ; in certain localities some of the articles quoted are more expensive, while others are cheaper ; but the average is about equal. 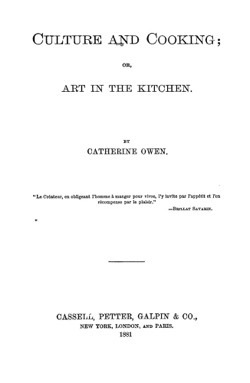 As a rule the family life of America does not represent opulence, yet it has become a familiar saying that a French family could live on what an American family throws away. 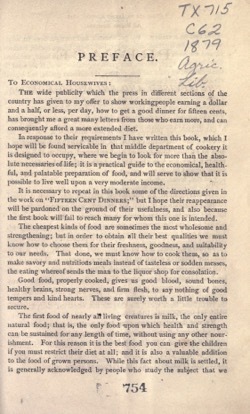 Again, it is said that in American kitchens half the provisions are spoiled and the” other half wasted. 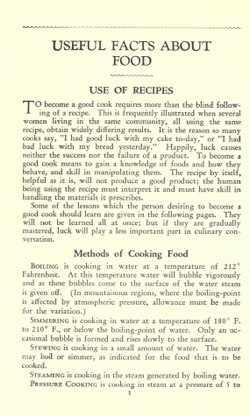 There is no need to-day of being open to such accusations. 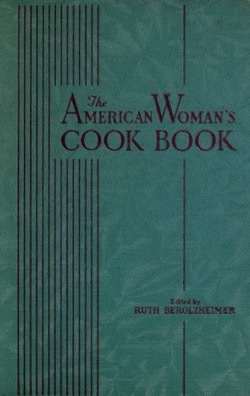 At small expense a woman can have the benefit of lessons in cooking-schools, and should not be accepted as a cook until she has some knowledge of the duties, and is qualified to bear that name. 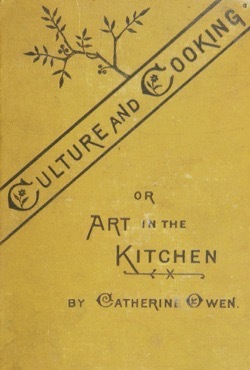 The gage of a woman’s rank in her profession can be definitely determined by what she wastes or utilizes, and the high wages paid a first-class cook are often saved by the intelligent use she makes of all her materials. 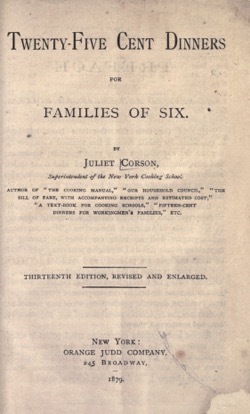 Many of her best entr6es are but a combination of odds and ends which another cook would throw away. 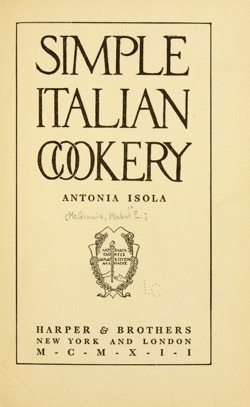 Her delicious sauce, which gives a very ordinary dish that requisite something which makes it highly esteemed, may be but the blending of many flavors obtained from little scraps. 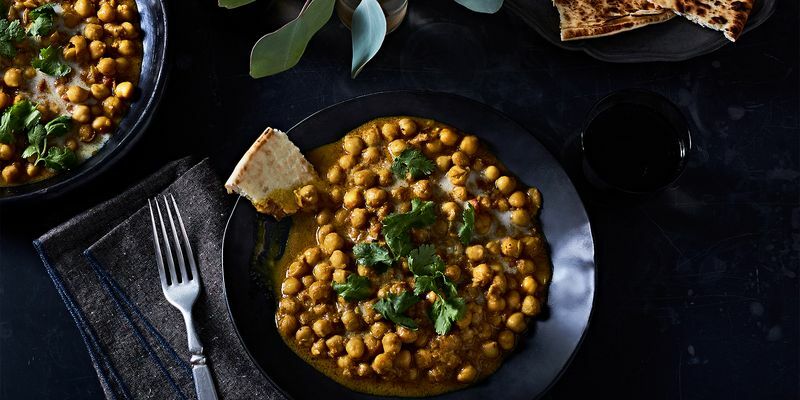 The waste in foods need be so small as practically to have no waste material ; not a crumb of bread, a grain of sugar, a bit of butter, a scrap of meat or fat, a piece of vegetable or leaf of salad, but can be utilized with profit. 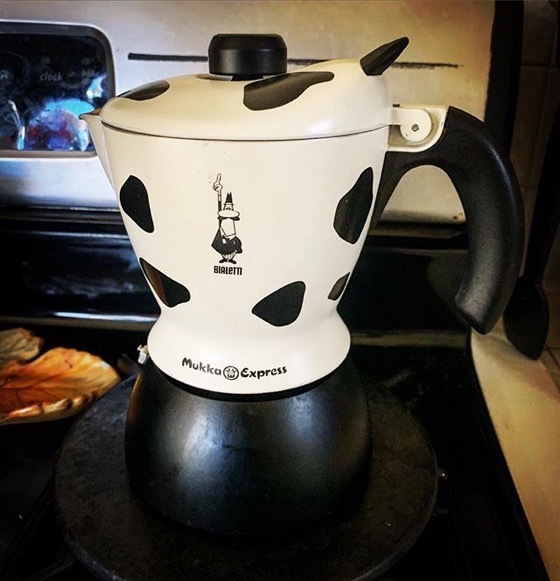 This Moka pot makes cafe latte in one pot. 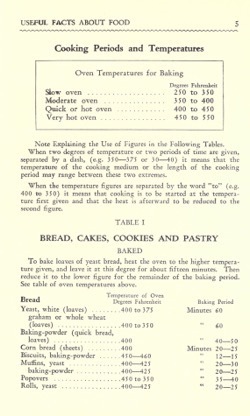 No need to heat or steam milk separately. 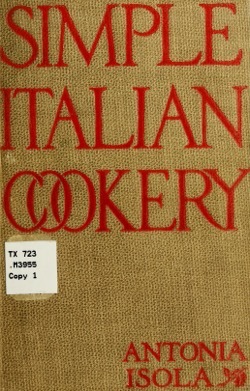 This is a great upgrade from my standard Italian Moka pot. 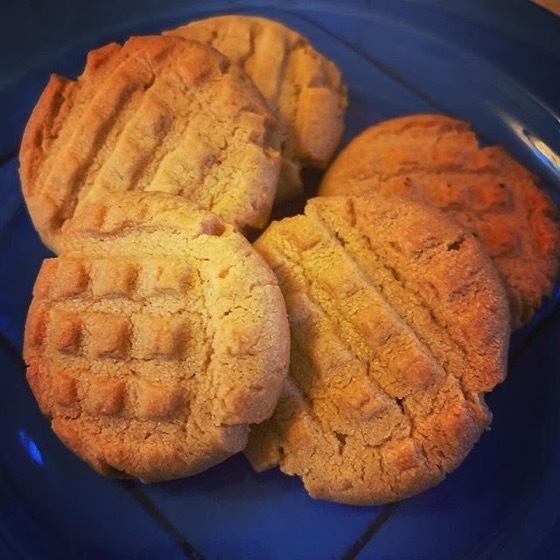 Get your own Moka or Mukka Pot via Amazon!